Holt-Peterson Bus Company proudly serves our clients for a variety of transportation needs. 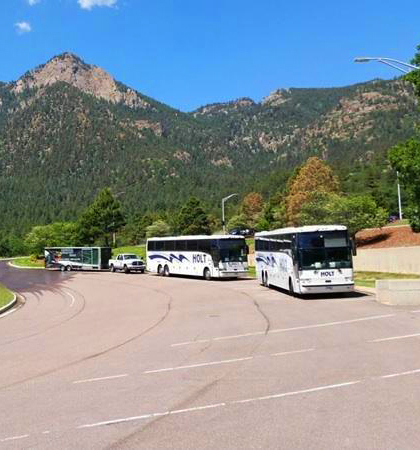 Whether you are looking for a large corporate luxury motorcoach, getting your team to the game or a shuttle bus for a casino tour….we do it all! Holt-Peterson’s experienced team will make all of the arrangements to ensure your trip is safe and well planned. Contact us today for more information or to plan a trip.